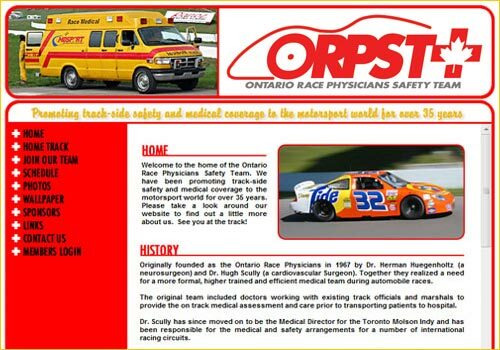 Home of the Ontario Race Physicians Safety Team. Promoting track-side safety and medical coverage to the motorsport world for over 35 years. I designed their website and logo through my company MotorSites.com.